In 2014 a technical training programme was commenced in Camiri, Bolivia. 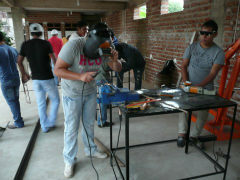 The project is part of Camiri Bible Institute and is a Technical school, providing automotive training. The training is primarily for the Bible Institute students who will use this training to support themselves as they work in towns and villages throughout Bolivia growing the church. More widely, beneficiaries could be any student who decides to up-skill and complete the course. 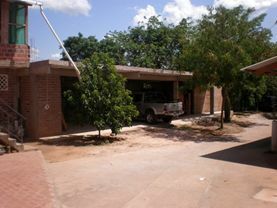 This project runs concurrently with the Bible Institute, on the same grounds but in different buildings. The idea is that the Bible students will complete the Biblical course and then go on to complete the Technical course. The Technical school has government accreditation meaning that all students will come out of the course with an officially recognised title. Camiri Bible Institute was formed to give Biblical training to young people within Bolivia and surrounding countries. The ministry was developed mainly through the efforts of Mark Mattix, an expatriate US missionary in collaboration with Tino and Nelda Villaroel, Bolivian missionaries (BLV02). Many years ago Bright Hope World began a partnership with the Bible Institute by funding the development of a dairy farm to support the Institute and training the key manager. The farm now fully financially supports the farm manager and provides 50% of the financial needs of the Institute. The Bible Institute has a programme that has been successful for many years now, providing Biblical teaching to young people, equipping them for Christian ministry or for serving in their home churches. The dairy farm project is successful and is fulfilling the aims of its establishment; to provide support for the Bible Institute and its students. The primary beneficiaries of this partnership are the Bible Institute alumni who will be trained to a government accredited standard in auto-mechanics and thereby provided with a way to financially support themselves as they minister in towns and villages around Bolivia. Other young people in nearby areas who also will be trained at the Institute. The leaders of the Bible Institute have recognised the importance of equipping their students (church planters/pastors) with an income generating skill so they are able to financially support themselves and not be dependent on external support. They came up with the idea of the Trade Institute themselves and it is headed up by a qualified motor mechanic who was previously an instructor, teaching in public training institutes in Bolivia. One of the Technical school’s tutors gave up his current job and moved to Camiri before the school even started - that's how keen they were to commence this project! Tino and Nelda Villaroel are the Institute managers and 'parents'. A board is responsible for overall decisions and planning. This board is comprised mainly of Bolivian people along with Mark Mattix. 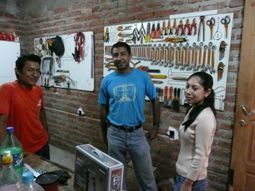 The Trade School is now run by Efrain, a qualified mechanic, although had its genesis with Pepe Villaroel, Tino and Nelda's son, who is also a qualified motor mechanic and instructor, having taught in Bolivian trade schools. He identified that there was a lack of mechanics qualified in auto electrics, especially computer controlled automotive parts. The vision of this partnership is to equip Christians to be able to support themselves while serving the Lord in church-planting and evangelising in towns and villages. The strategy selected is to set up a Technical school that has government accreditation to provide training, facilities and tooling in motor mechanics, especially in auto electrics, to, in particular, past Bible Institute students. In 2014, the first year of the course, they had 24 students but they anticipate this increasing in future years to 30 students. They envisage around five of those students each year will be past Bible school alumni who may require scholarships. 1) To purchase tools and parts required for the course. Bright Hope World was not involved in funding any costs associated with building and preparation of the facility.